Behold! It’s the Amazon Warrior burger! 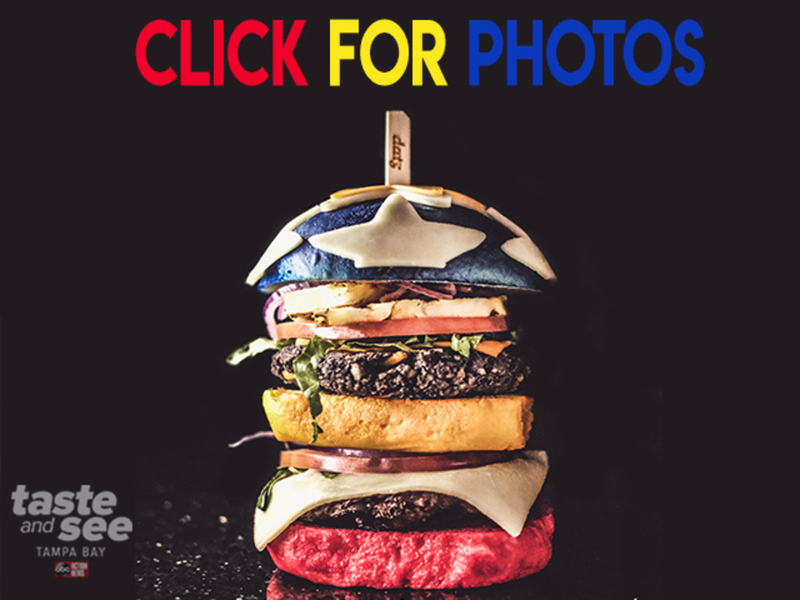 Datz in South Tampa has created a triple-decker Wonder Woman-themed cheeseburger, so you’re going to need your super hero appetite for this foodie challenge. This behemoth burger stands six inches tall and is wonderfully decorated from top to bottom. So what all goes on it? The real question is how do you even begin to eat this gigantic burger? Just ask Datz chef Mo Hassan. “Take your pictures and post to social media before you dig into the burger. Then take the pick out, smash it down and dive in. If you have to use a fork and knife, we won’t judge you too much,” said Hassan. The Amazon Warrior burger will cost you $20. If you’re a vegetarian, there’s also a black bean patty option. Datz will begin serving the burger on June 2, which is the same day the ‘Wonder Woman’ movie hits theaters. It’s only available for a limited time, so you better act fast!